Joydom provides household repair and maintenance services. Our handymen are skilled professionals specializing in different fields like plumbing, electrical, carpentry, painting and other household repairs, installation, and maintenance work. The use of handyman dated back many many years. Handyman refers to a skilled person with expertise in various household repair and maintenance work. 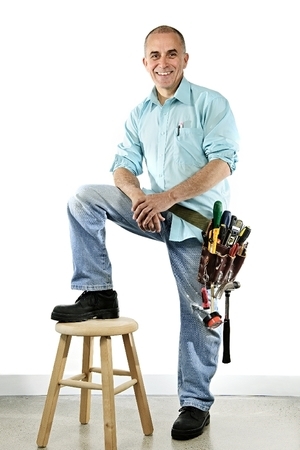 In Singapore, handyman focuses mainly on plumbing, electrical, painting, carpentry tasks. In overseas, the handyman may perform roof repair, tiling, pest control and other more complicated works. Why should you use Handyman Singapore? Most of us who are living and working in Singapore are very busy with work and family. As we are not trained to perform the repair and maintenance work or are frequently too exhausted to perform them during a weekend or rest day, it is definitely a wise choice to hire the handyman to carry out the household repair and maintenance. By engaging a handyman, it saves us precious time and ensures that the repair is performed properly by a skilled person. Ask yourself whether you would like to spend hours reading the repair guidebook, learn how to perform the repair and try to fix the problem. Or do you just wish to relax and let the specialists perform the task and perform it well for you? If you can make more money from the same time spent elsewhere or you can spend the same precious time with your love ones, should you not outsource the task to Handyman Singapore? Performing Other Handyman related work. 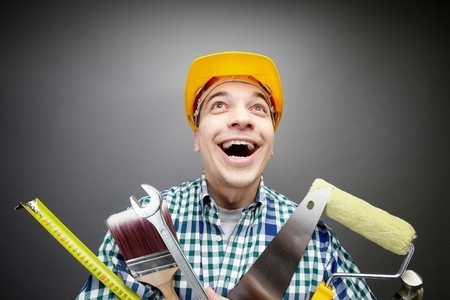 In some countries, Handyman can be a big business with franchisees. In Singapore, this trade is very much a freelance business and has not matured into franchise model. Will it mature into a franchise model like some DIY hardware shop in Singapore? We will have to wait and see. Joydom proven to be one of the best electrical company in Singapore. Contact Cheap Handyman Singapore Now! Call us now at (+65) 81632621 or email us at enquiry@joydom.com.sg to attend to your home repairs, installation, and maintenance needs (including bathroom, door, and toilet bowl problems). We assure you that our repairs and services come with some form of guarantee. You can have a peace of mind when you hire us.